Quality eyecare and personal attention are our focus at the Indiana EyeCare Center. We are a family optometry practice that prides itself on the individual care and attention we provide all of our patients. Your entire family, ranging in age from pediatrics to adults, are welcome at Indiana EyeCare Center. We are located on the northeast side of Indianapolis and serve many of the surrounding communities. Our services include complete eye health evaluations, contact lens evaluations, refractive/LASIK assessments and unique specialty evaluations that test for visual motor and perceptual skills. 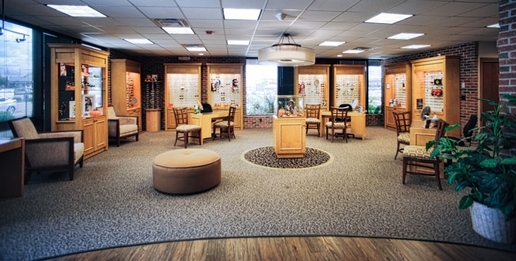 We invite you to visit our beautiful frame dispensary and choose from the latest in fashionable eyewear. We carry both affordable and high-end frames such as Oakley, Tag Heuer, Gold and Wood, La Font, Coach, D&G, Versace, Prada, Juicy Couture and many more!